Killer Characters: Right in the Middle of the Festival and a #Giveaway! Right in the Middle of the Festival and a #Giveaway! Hi, Savannah here. 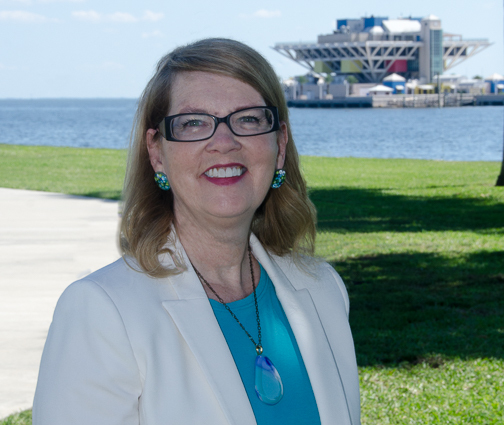 St. Petersburg holds the largest Pride Festival in the state of Florida. Webb's Glass Shop is right in the middle of the festivities that occur on Central Avenue. This year the St. Pete Pride Festival will be held Sunday, June 24, 2018 beginning at 11am and ending at 5pm. The Festival is expected to draw more than 50,000. It will be the largest community event of the season as festival goers come together to enjoy a day of live performances and entertainment, community booths, art and fantastic food in paradise. Since we have a front row seat, we'll have tables on the sidewalk in front of the shop filled with glass art for sale from our students. Give a boost to your local artisans by purchasing their wares during the celebration. Stop by and see what you can learn to make in our on-going classes in stained glass, fused glass, glass painting and jewelry making. Amanda and I will be handing out class schedules all afternoon. What's happening in your town? There's a #GIVEAWAY! Leave a comment and your email address in the form of yourname(AT)server(DOT)com to avoid the SPAM bots. Do this by midnight on June 25 for the chance to win a signed Advanced Review Copy (ARC) of Shattered at Sea. This giveaway is open to U.S. and Canadian residents only. Winner will be notified within 48 hours after giveaway closes. Shattered at Sea releases on August 28, 2018 but is already available for pre-order on Amazon, Nook, Kobo, and in your favorite bookstores. It is published by Kensington Books. You can also ask your library to order it for you. I would love to go to a celebration like that and I would love to visit the g lass shop. I live in a small down (population less than 3000) in the Ozark Mountains. Our main claim to fame is that we are the Music Capital of the World. There is always something going on in town. There are music concerts at the Ozark Folk Center three nights a week. There is always free picking in the park downtown. Festivals are often and very well attended by folks from all over the world. Like most town, there is a big July 4th event planned with parade, games and a street dance. In August there is the fiddler’s contest and the Mountains, Music & Motorcycles Rally both of which bring in folks from every corner of this great nation. September brings us to the Grandpa Jones Banjo weekend during Labor Day weekend. Did you know he was from Mountain View? Only in the Ozarks could October bring you the Bean Festival and outhouse races followed in November with the semi-annual Bluegrass Festival. In between events you can enjoy the first Sunday gospel singing on the courthouse square, check out all our little unique stores, stop for some yummy food at one of our local eateries like The Rainbow Café where you can get fried pickle spears or fried grits as one of your side dishes or just sit and watch a great game of corn hole at The Music Store. If that’s not enough, go check out the Ozark Craft Village where there are 24 different artisans making things the old way from brooms to quilts or take a ride on Loco Ropes if you’re the adventurous type. Come visit us in Mountain View, AR where there’s always something to do, you will be treated like family and you’re bound to find something you enjoy doing. Thank you for this great opportunity to win an ARC of “Shattered at Sea”. I’d love the opportunity to read this book! I've been to Mountain View and it's a wonderful place. I was attending a dulcimer weekend at Modern Mountain Dulcimers. Beautiful area and friendly people. Nice and hot here at over 100 degrees. There's a lot going on in this small town. groups of two or more are locked in a keenly decorated room or series of rooms/Participants are challenged to use their knowledge, creativity, and problem-solving skills in a collaborative setting/Race against the clock to find all the clues, solve all the puzzles and unlock the final key to escape. I love glass art! It would be fun to take some classes. Oh love watching the glass blowers on the celebrity ships. I cannot wait to read this!!! And thanks for the opportunity to win!! idlivru1 at gmail dot com. This weekend our town has been invaded by hundreds of rodeo performers and rodeo fans. We have a pro rodeo that is in the top ten in terms of prize money on the Canadian circuit. For over 60 years our town has held this event. The entire organization is volunteer, and they spend many weeks painting, cleaning, upgrading, and general preparations. The entire community (about 6000 residents) gets involved, with pancake breakfasts and BBQ lunches put on by local businesses, (money raised going to charities or local non-profit groups), and a downtown street party with fun events for families, food, and specials at local businesses. The actual rodeo events cover Thursday to Sunday, but the entire week finds this community in "rodeo mode". 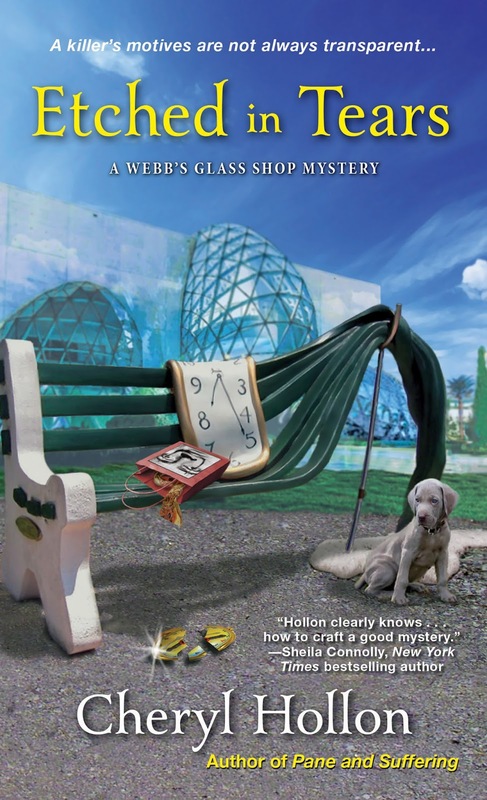 Have really enjoyed the Savannah Webb series and would love a chance to read an advance copy. It is encouraging to see the younger people growing up with much fewer prejudices. People are just people to them, much more than some of us older ones. This would be a new series to me. Thanks for the opportunity. Our small town of Dahlonega, Ga, is filled with southern charm and mountain scenery. It's the location of the first gold rush and still has two active gold mines. There's always something going on at our wineries, meadery, and distillery. There's a jam every Saturday on the square. Bear on the Square in April is our favorite festival, filled with free music concerts and jams all over town. And, yes, there was a bear on the square that started it all. Our largest festival is Gold Rush in October - 250k people attend. Our Old Fashioned Christmas is our favorite time with the town dressed up in lights and decorated for Santa's visit; a month long celebration that takes us back to a simpler time. I really admire people who work with glass, they make such beautiful pieces. 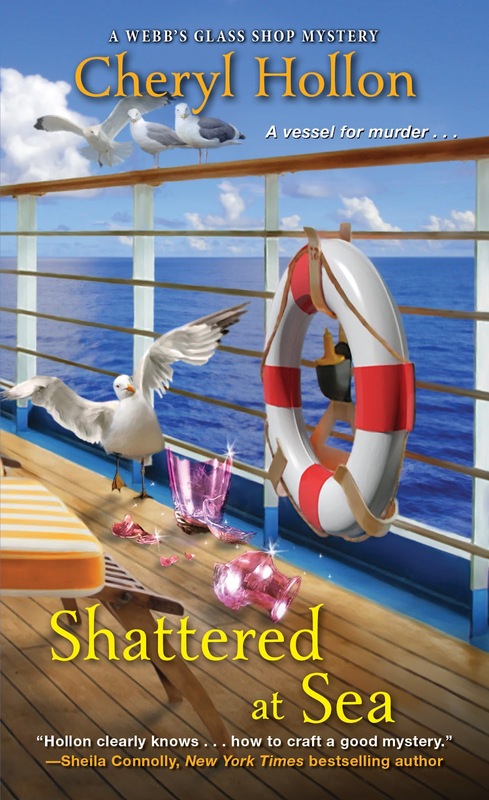 Would love to read "Shattered at Sea". Thanks for the chance. Farmers' markets are starting up - love the fresh produce and local crafts offered. i am anxiously awaiting the release of this book. I would love an advanced copy. I enjoy the opening of the farmer's markets in our area. We also have a Medieval Faire beginning in July through August. There are several other festivals around the area so we are quite busy. Thanks for the hosting Cheryl Hollon's latest book and also for a chance to enter the giveaway. there are various farmer's markets going on weekly. then there are the arts and crafts festivals being held at the local state parks. The book sounds great. Thank you for the giveaway. Thank you for the giveaway! I would love to read this one.